Jim came to Hope in 1981. He has served as a MiniChurch host home leader, Undershepherd, and Shepherd - 17 years and counting. In addition, he served on the Church Council, the Hope Chapel Academy School Board and as a co-leader of the Skid Row Outreach Ministry. His love for serving God's people has also taken him on Mexico and Swaziland mission trips. He and his wife, Cathy, have been married 35 years. They have two married sons - both graduates of Hope Academy and UCLA, and both walking in Christ. 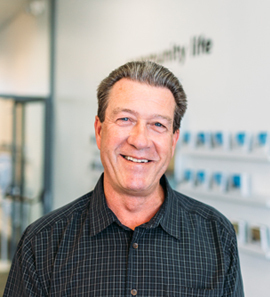 Jim enjoys hanging out with his best friend, Cathy, serving, fellowshipping with God’s people, mentoring couples, traveling, tennis, golf and surfing.